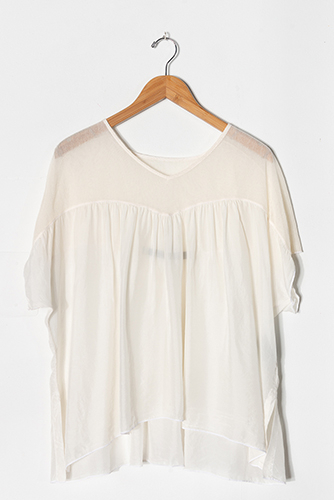 Sweetheart top in mesh and silk has gathering across front and back, dropped shoulders and cap sleeves. Oversized flowy fit. *100% Cotton Mesh, 100% Silk bottom.